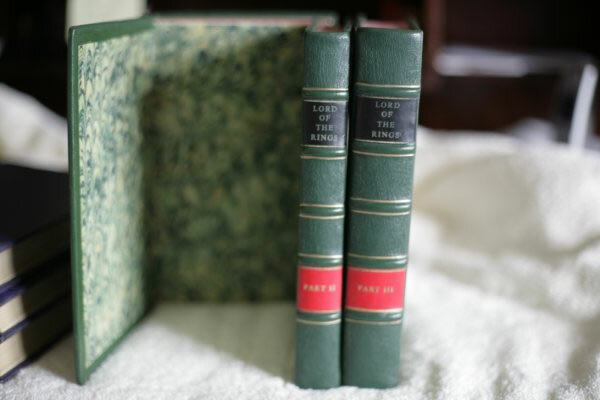 2nd edition reprint (6th, 5th, 10th impressions, ie 1971,1970, 1978) set fully rebound in green leather. 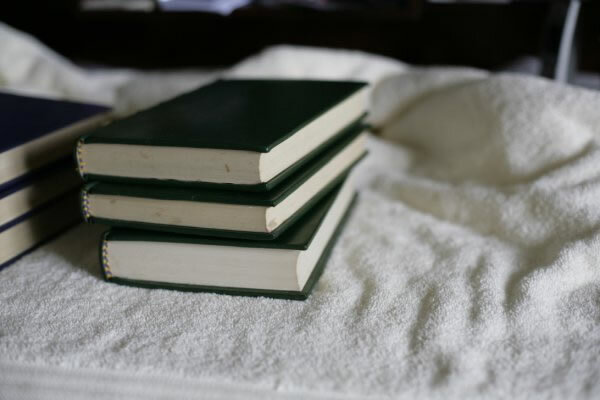 No inscriptions, all maps present, very clean interiors, decorated endpapers. 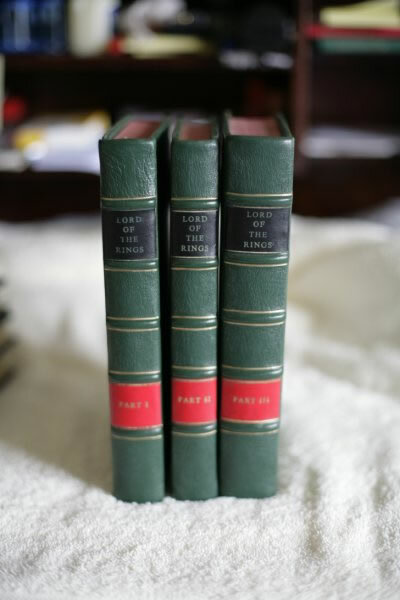 The spines, with raised bands are all entitled Lord of the Rings, with Part I, Part II, Part III on the respective volumes. The title on The Fellowship is slightly dulled. Some small marks to the other edges.